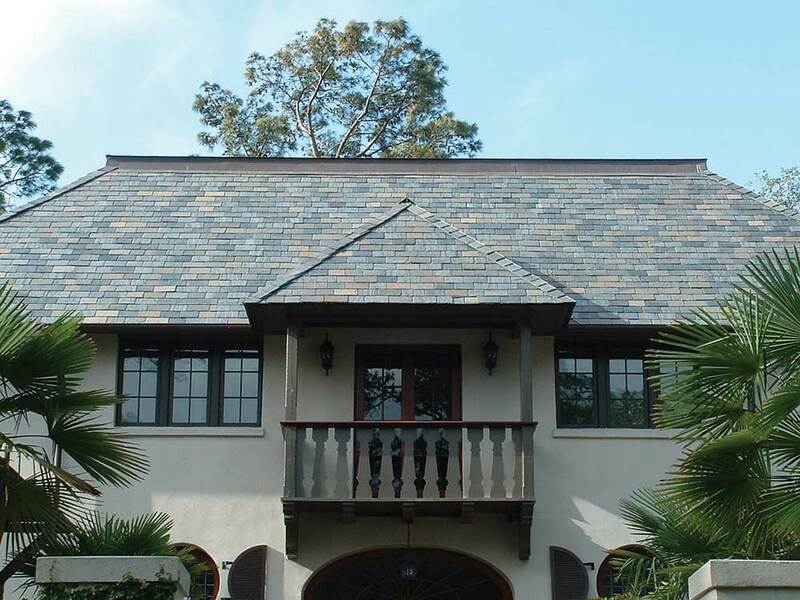 Black Diamond Slate has several distinct slate roofing blends that marry color and elegance to enhance any structure. Though the choices are limitless, below are a few of our most popular blends. 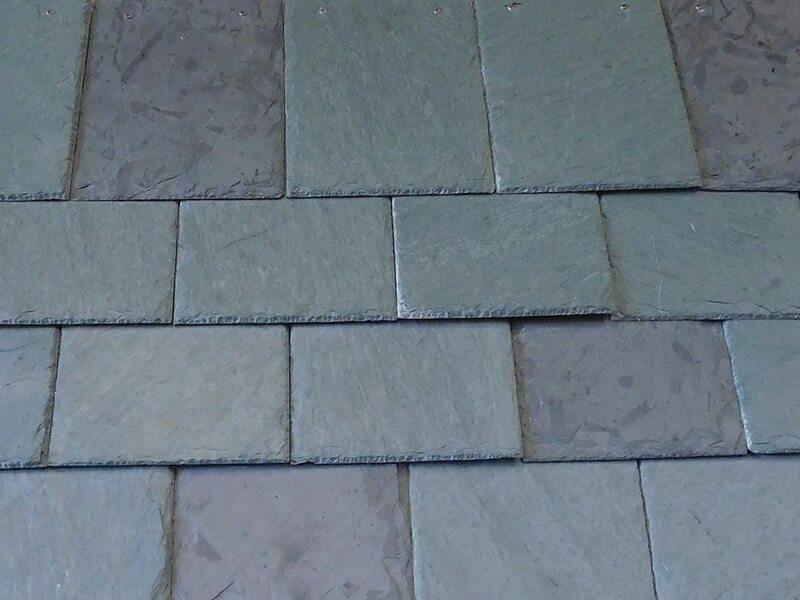 Historic Vermont Blend is a combination of the most popular colors from Vermont: Semi-weathering Gray/Green, Unfading Green or Unfading Gray/Green, and Purple. Texture varies from smooth to medium and the colors provide a beautiful contrast. A percentage of the semi-weathering green will age to earth tones of bronze and buff colors, increasing in diversity of color over time. 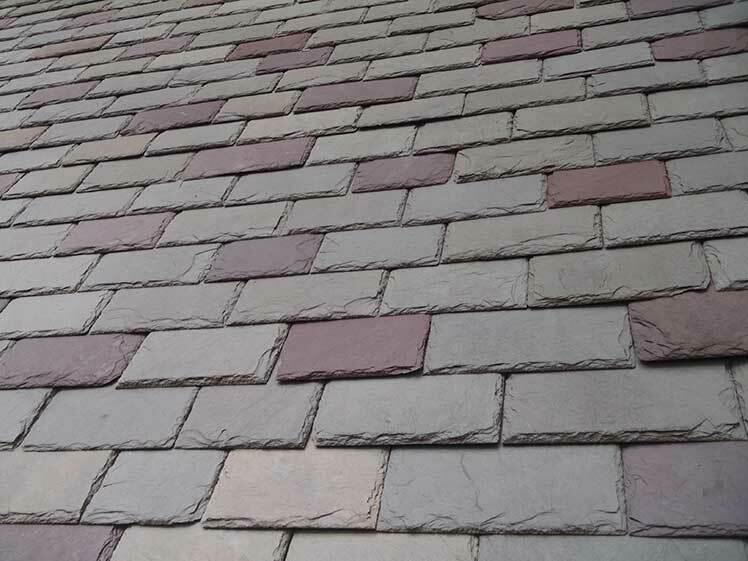 Many historic buildings proudly display this blend which has become a trademark of the domestic slate industry. Charleston Blend is a subtle yet beautiful combination of Vermont Unfading Grassy Green and Unfading Gray that is very popular in coastal areas of the United States, especially on Mediterranean and stucco style homes. The percentage of each color can be varied to produce just the right blended shade of Gray/Green for each specific project. Graduated Thickness Vermont Blends are assembled from a variety of colors and sizes of your choice. 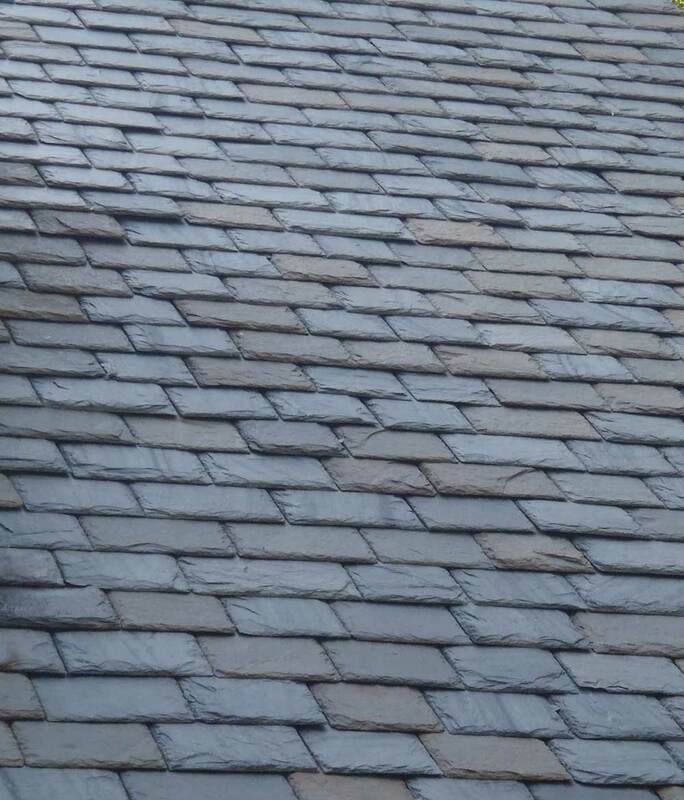 The term graduated refers to the decreasing thickness and length of the slate as it progresses up the roof. 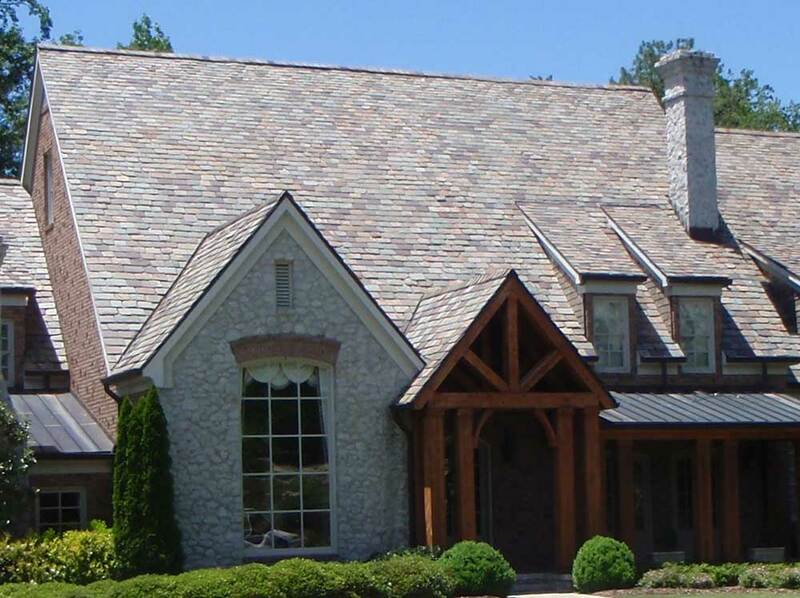 This style originated out of necessity and efficiency to utilize every sliver of stone being extracted. 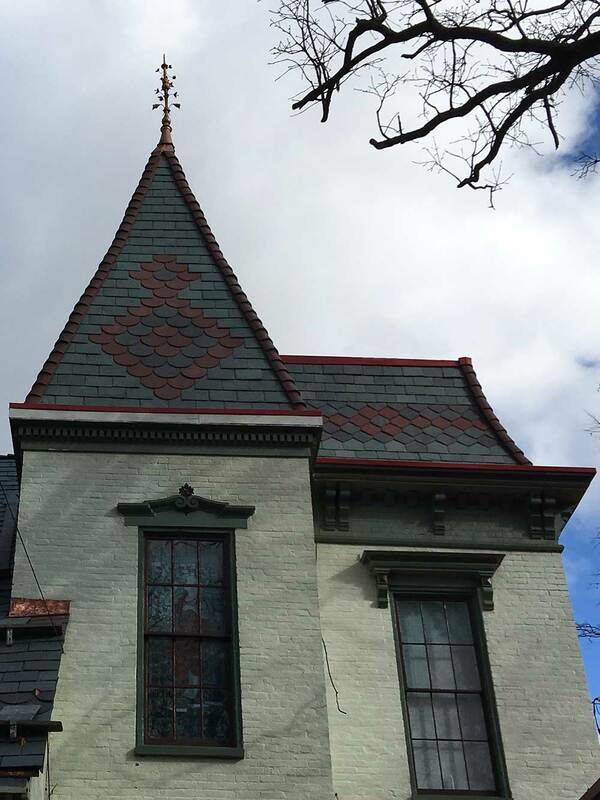 However, the look quickly became a symbol of architectural prestige and is still considered the top of the line in domestic slate. Vermont Gray Black Blend is a darker relative of the Historic Vermont Blend made up of Semi-weathering Vermont Gray, Mottled Gray/Black, and Vermont Black. 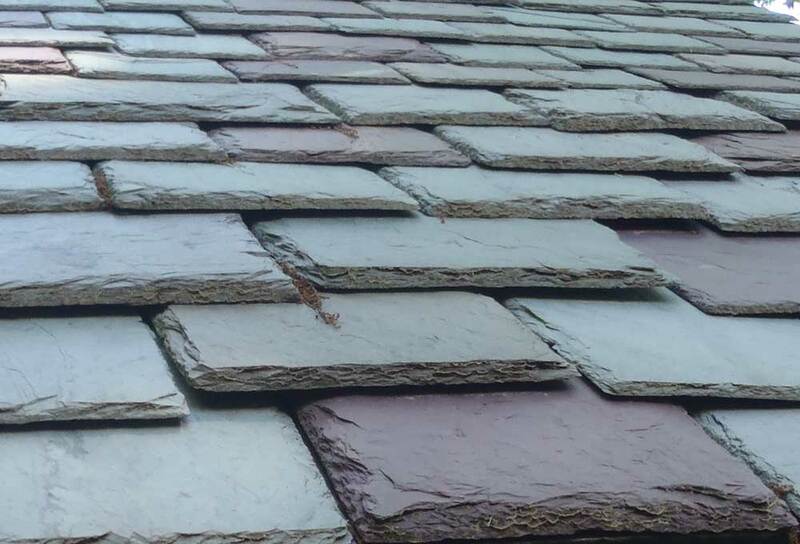 Some of the lighter gray slates can have faint shades of green in bright light that will turn mainly to bronze and buff over time to create this beautiful and distinctive earth tone blend. 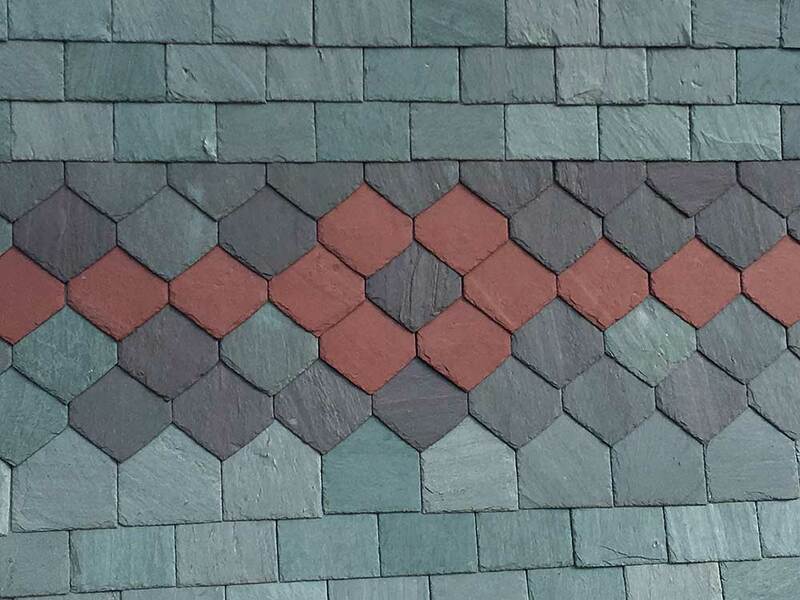 Vermont Multi-Color blends can be created with any of your favorite colors. Pictured is Vermont Unfading Green, Unfading Red, and Purple.